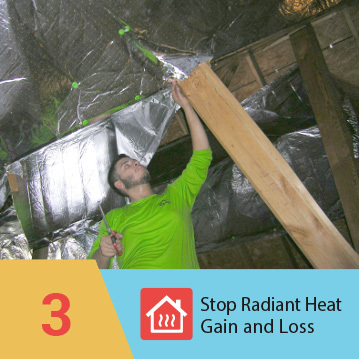 A drafty house is more than just a waste of natural resources – and that also means higher energy bills. 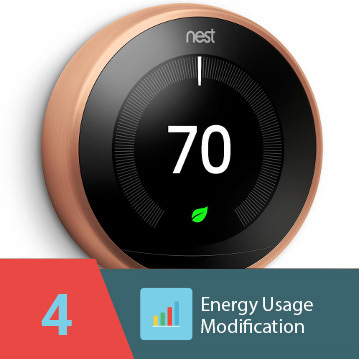 You’ll automatically lower energy bills by air sealing due to the fact that there shold be less leaks in and outside of the home. With air sealing, the amount of humidity that enters will also be significantly reduced, which is a big factor in the comfort level of a home. In the United States, homes burn through 21% of energy. 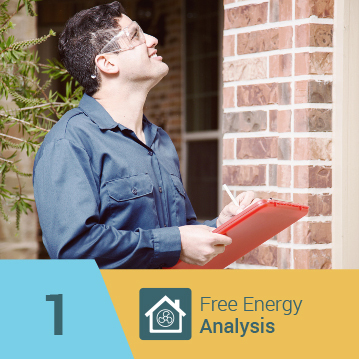 A lot of that energy is spent heating and cooling your house and, even worse, a whole lot of that energy is spent heating and cooling your backyard and front porch, through leaks and holes in your building envelope. Having a properly air-sealed home is critical to energy conservation and greatly impacts utility bills. Some air leaks in your home are visible to the untrained eye—mostly around old untreated doors and windows. Much of the average home’s air leakage takes place in the areas you don’t see. A lot of it takes place because of the stack effect, or chimney effect, which works like this: cold air infiltrates the cellar through leaks and cracks in the foundation and walls and begins rising. 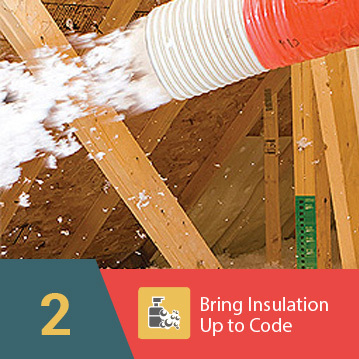 It works its way up through the floors and walls, then up into your attic through the structural defects, holes in the ceiling, recessed lighting, leaky duct work, furnace flue, plumbing stack or perhaps a poorly sealed attic floor. A home performance contractor doing air sealing work will generally focus on the basement and attic floor in order to minimize the stack effect, thus minimizing unwanted air movement throughout the home. As the seasons change, cracks and gaps will open and close and allow unwanted air to infiltrate, conditioned air to pass and moisture to leak into the home. This can cause a number of problems such as mold, drafts, and heat loss in the winter or gain in the summer. Leaks can be sealed with caulk, spray foam or even just weather stripping depending on the problem area. A good rule of thumb is to use caulk for cracks smaller than 1/4-inch, and foam for larger cracks and gaps, though each condition may vary. Most older homes will not have the issues of being too airtight, as there is always bound to be enough cracks and air leaks to keep a healthy level of fresh air circulation. If you are concerned with this issue, or are building a new tight home, you can install outside air intakes to be connected to your HVAC to bring in a steady exchange of new and stale air. Air sealing your home will reduce your energy bills, increase the air quality of your home and decrease the maintenance required for associated air leak issues such as mold and rot. Air sealing is not a do-it-yourself kind of job. If you are planning to purchase reflective foil or any insulation for that matter, contact Eshield at: 866-978-9170 for professional installments today! 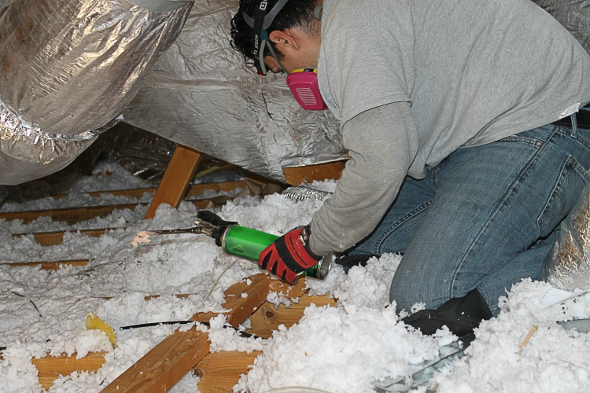 Here at Eshield, we know how and where to insulate your home to be able to optimize and maximize the insulation capabilities of your space. From the ceiling, basement, and even crawlspaces, we, at Eshield can guarantee that you will be living comfortably under our professional guidance – for a good price! Visit our contact page here for more details.